If Australia is on your travel plans, or if you live nearby and have never visited, the capital city of Melbourne is somewhere you simply must go. Of course, to get here, you may need to take a flight, and you are definitely going to want to get the least expensive flight you can, so check out Cheapflights. But once you’re here, what are some of the best things to do in and around Melbourne? Buckle up for the whirlwind tour, mate. The Crown Casino and Entertainment Complex is a one-stop shop for everything you might want to do. Whether visiting one of the clubs, hanging out at one of the free entertainment venues or shopping to you drop, there’s definitely something to keep you entertained here. Once you’re done with those activities, you can catch a flick, do some bowling or play some interactive games or laser tag at Galactic Circus. As the name of the establishment suggests, if you’ve got the gambling bug, there are also a variety of casino games available at the complex as well. If you would like more information on the Crown Casino and Entertainment Complex, click here. Melbourne Aquarium is considered by many to be one of the best aquariums in the world. If you’ve ever wanted to see a giant Pacific octopus, a floor to ceiling coral atoll or a stunning array of sea jellies, then the Melbourne Aquarium is the place for you. Even if you want an experience that is a bit spookier, the aquarium has you covered with its two “creepy caves,” which feature horseshoe crabs, scorpions and tarantulas, all safely behind glass but still able to be viewed, so you get the fun skin crawling sensation. For more info on the Melbourne Aquarium, visit their official site.. Known locally as the MCG or as simply the G, this haven for sports enthusiasts stands in Yarra Park. In addition to being the tenth-largest stadium in the world and housing the tallest light towers of any stadium, the stadium is also the stomping grounds of the Melbourne Cricket Club. Other major events hosted by the stadium include events by the Australian Football League and the FIFA World Cup qualifiers. If you’d like more information about the Melbourne Cricket Ground, visit their official website here. Located in the Dandenong Ranges, low mountain ranges just outside of Melbourne, the Puffing Billy Railway is a narrow gauge heritage railway that begins at Belgrave station and ending at Gembrook. The railway is tended and operated by a group of volunteers known as the Puffing Billy Preservation Society though there are a few paid employees as well. You can hop on this recreation of the 1920s rail experience seven days a week, with the train being shut down only on Christmas Day. For much more information on this exciting adventure, click here. Locally known as the Vic Market, this major Melbourne landmark is considered to be the Southern Hemisphere’s largest open air market and is the only 19th century market in the Melbourne central business district still surviving today. The Vic Market has become a major tourist attraction and offers a wide variety of products for sale including fruits, vegetables, arts and crafts. The Market is closed on Mondays and Wednesdays but is otherwise open daily. However, during the summer, there is a night market open on Wednesdays with live entertainment. More information, maps and photos about the Queen Victoria Market can be found here. 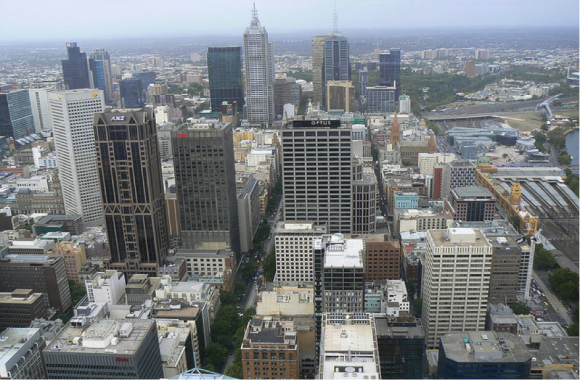 Melbourne is a very cosmopolitan city and has a little something for everyone. Regardless of whether you’re a sports fan, a fish fan or a fan of shopping until you drop you’ll be sure to find something to interest you in this wonderful city.